A great result obtained from the constant and professional commitment expressed in ten years that we dedicated to high-level education, investment and organization of a unique educational infrastructure in Italy and rare in Europe, a result recognized and certified at the highest levels after a scrupulous process and a series of audits, to which our school has been submitted by the Cambridge International Assessment Education (CIE), the world’s largest and most prestigious provider of educational programs in the 5-19 age group. 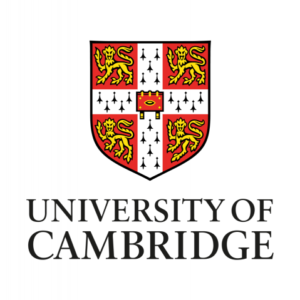 CIE and Cambridge International Assessment Education are an integral part of the University of Cambridge. An evaluation system that extends to the secondary cycle and to the continuous Cambridge test system already adopted, to the INVALSI, to the LGI proprietary educational method of assesment called ICE®. A rigorous approach of teaching and continuous assessment (annually, where many international schools use internal and non-certified assessment methods) of the results that now lead LGI students to measure themselves on international, transparent and unequivocal standards, a rare factor in the world of international schools if not at very high levels. The certification was made official on June 23, 2016 and is not simply a matter of prestige for the school, but represents another confirmation of the validity of our methods and our structure, as well as the guarantee for all our members that such quality levels, not only they will be maintained, but they will continue to improve. In particular we will have a further educational and examination system for Mathematics and English, with greater solidity, and more competitive at international level, with high standards for both primary and secondary cycles. Our success as a school, both on an educational and managerial level, is first of all a fruit that all our customers can enjoy, our students’ families, who now have one more reason to choose LGI as the fulcrum of education of our children, of the citizens and professionals of tomorrow, we are able to put them in a position to face a competitive and fast world, but at the same time greedy for creativity, high innovation and proactive capacity.